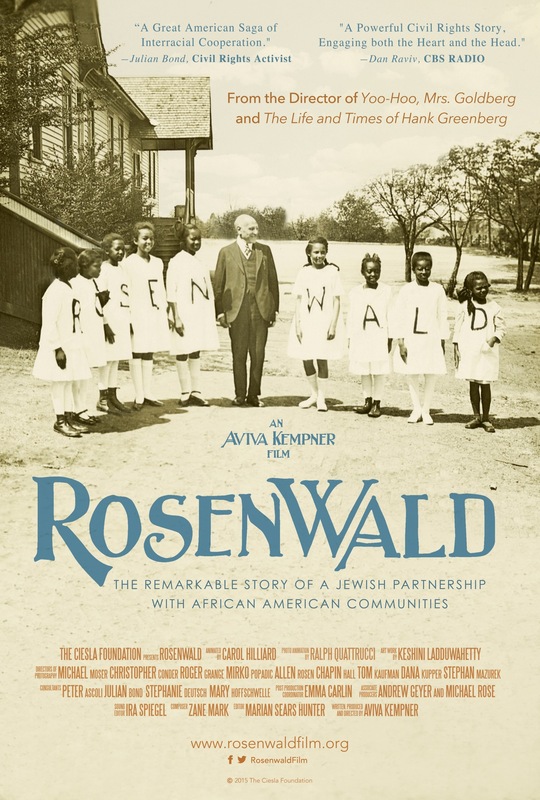 Aviva Kempner’s Rosenwald: The Remarkable Story of a Jewish Partnership with African American Communities is the incredible story of Julius Rosenwald, who never finished high school, but rose to become the President of Sears. Influenced by the writings of the educator Booker T. Washington, this Jewish philanthropist joined forces with African American communities during the Jim Crow South to build over 5,300 schools during the early part of the 20th century. Inspired by the Jewish ideals of tzedakah (charity) and tikkun olam (repairing the world), and a deep concern over racial inequality in America, Julius Rosenwald used his wealth to become one of America’s most effective philanthropists. Because of his modesty, Rosenwald’s philanthropy and social activism are not well known today. He gave away $62million in his lifetime. The list of prominent alumni and educators who attended the Rosenwald Schools include Tony Award winning playwright George Wolfe, poet Maya Angelou, U.S. Representative John Lewis, Pulitzer Prize winner Eugene Robinson of The Washington Post and the ancestors of Loretta Lynch (US Attorney General) and law professor Anita Hill. Skip Gates writes in Finding Oprah's Roots: Finding Your Own that Oprah’s ancestor Amanda Bullocks became a trustee of the Buffalo Rosenwald School in Attala County, Mississippi. Join us for a screening on Tuesday, March 5, 2019, at 6 p.m. in the auditorium of the Russell Special Collections Building located at 300 S. Hull Street. The event is free and open to the public. For more information, call Kaylynn Washnock at 706-542-5788. Film provided by The National Center for Jewish Film, www.jewishfilm.org.